“95% of everything you do is the result of habit. So the rule is to allow good habits to become your masters than let bad habits form.” – Aristotle. If you look at CEOs running successful companies, you will find that they all have figured out a few things in life and that they share a common trait – good habits. “Good habits are hard to form but really easy to live with. Bad habits are easy to form but hard to live with.” – Brian Tracy, author of Million Dollar Habits. These are CEOs who have figured out that to be successful in this competitive and cutthroat business world, you need lots of energy, and forming healthy, good eating habits is the path leading to it. So, I have collated the eating habits of 10 successful CEOs for you. You don’t have to start eating like Mukesh Ambani in hopes of becoming the richest CEO in India, but it may inspire you to eat healthy and simple food at regular times. 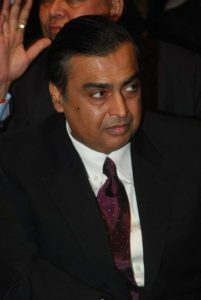 CEO No.1: Mukesh Ambani, MD & Chairman of Reliance Industries Limited. For a person who makes around 30 crores a day and ranked among the top 50 in the list of world’s richest, Mukesh Ambani sports very simple eating habits and veggie at that. He doesn’t mind what kind of food he gets to eat, whether it is street food or haute cuisine at a posh restaurant, as long as it is tasty. Here are some insights into his eating habits. Prefers a light breakfast with a papaya juice. Soups and salads for Lunch. A simple dinner of Roti-Dal, Bhaat-Shaak. Is fond of South Indian and Gujarati foods. Likes to have a south Indian Breakfast every Sunday. Favourite place “Mysore Cafe” in Matunga. Idly/Sambar.is his absolute favourite. Loves “Panki” at Swati Snacks and Chaat at Taj Colaba. Photo credit – www.Filmtadka.in; Source: Mind The News./Times of India/Upper Crust India. CEO No.2: Brad Lande, Head of Birchbox Man. Brad, until his early thirties, was never a morning man. Mornings were but a little more than a necessary evil to him. Since then, he cultivated a few habits, 5 to be exact, which transformed his mornings from a dazed blur to an energetic one. Hot water with a dash of Lemon: Lowers blood pressure, guards against infection, cleanses the liver and revitalises the skin with Vitamin “C”. Kick-start the day with a Smoothie of Coconut water, Banana, Blueberries, Kale, Bee Pollen, Almond Butter, and Ice. 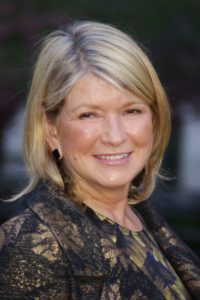 CEO No.3: Martha Helen Stewart, Founder of Martha Stewart Living Omnimedia. During a recent appearance on “The Dr.Oz Show,” Martha Stewart, was shown four snaps of herself, from 2001, 2006, 2010 and the present 2017 and she looked exactly the same in every single one of them. So, how is it that at 76, Martha Stewart manages to look like someone in their early forties? Martha gives credit to a regular exercise regime, to her good genes and, to a great extent, her diet plan. A green juice every single morning. Super fresh and hyper local organic vegetables. She grows most of the vegetables she needs. Prefers a fish-based diet to a meat-based one. Avoids the traditional white flour and opts for experimenting with non-traditional flours. Photo credit: David Shankbone; Source: Dr.Oz The Good Life. 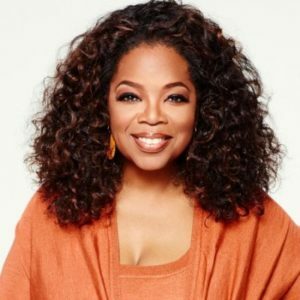 CEO No.4: Oprah Winfrey, Media Proprietor, Talk Show Host, Actor, Producer, and Philanthropist. No question asked that Oprah has to maintain her physical appearance to match her exhaustive profile. Known for her constant battle against weight gain, Oprah combines a regular exercise regime with a diet plan to stay fit and to generally stay on top of things. Eating Legumes, Fruits, Vegetables, Nuts, Fish and lean meat. Limiting white sugar and white flour consumption. And following the maxim of not eating anything after seven in the evening. 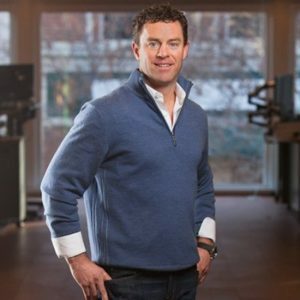 CEO No.5: Michael Mcdevitt, CEO, Terra’s Kitchen, an ecommerce meal delivery service. A CEO of an e-commerce venture providing healthy meals to the multitudes definitely will prefer a healthy breakfast for himself. His breakfasts habits are quite simple and don’t require that complex a mind to understand. A Protein shake with healthy fats. A fresh pressed, all vegetables, juice. And as food for the soul, he thinks of three things he is most appreciative of that morning, things that are most important to him. This sort of kick starting a day, he says, allows him to take on the world with a smile on his face. 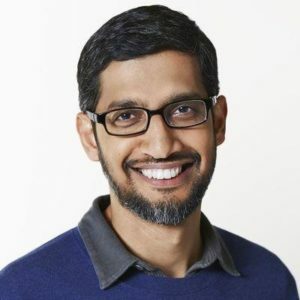 Source Inc.
CEO No.6: Sundar Pichai, CEO, Google. The following information about his morning routine is gleaned from a youtube Interview posted about a year ago. An omelette for his daily proteins. And reads a physical paper “The Wall Street Journal” and an online “The New York Times” to appease his hunger for world news. 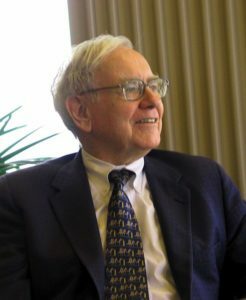 CEO No.7: Warren Buffett, Business Leader, Philanthropist. Whether he really meant what he said or whether it was a tongue-in-cheek remark is anyone’s guess. But his eating habits does seem to suggest he meant business when he said the above words. Chocolate Chip Ice Cream at breakfast. Five cans of Coke a day. Regular coke at work and cherry at home. And large quantities of potato crisps. Photo credit: Mark Hirschey; Source: The Telegraph. 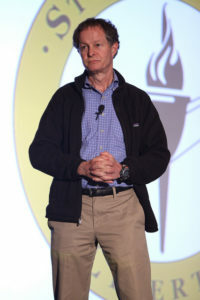 CEO No.8: John Mackey, Founder & CEO, Whole Foods Market. John Mackey, in an interview, stated that primarily plant based diet is the best for optimal health and for reducing cancer and heart-related diseases. 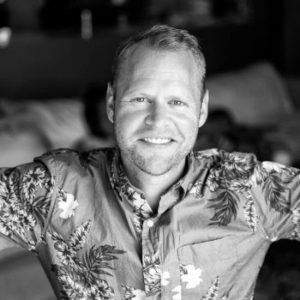 He is into a diet that is 100% plant based for about 14 years now, for ethical as well as health reason and follows just two maxims when it comes to his eating habits. Eat real food and not processed or refined ones. A whole lot of vegetables, fruits, beans, nuts, whole grains, and seeds. Photo credit – Gage Skidmore; Source: Blue Zones. 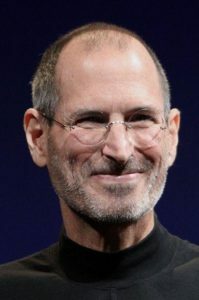 CEO No.9: Steve Jobs, Former CEO, Apple Computers. According to Walter Isaacson, author of the biography “Steve Jobs,” Steve Jobs idea of a diet plan was off the beaten track, just like his business thoughts were. He would eat only one type of food such as apples or carrots for weeks on end till a different food type catches his fancy. He reportedly had so many carrots one time that his complexion is said to have taken on a bright orange hue. He also experimented with “Fruitarianism.” An extreme diet consisting of Fruits, Vegetables, Seeds, Nuts, and grains. CEO No.10: Victoria Beckham, Business Woman, Fashion Designer, Model, and Singer. An ardent lover of Alkaline diet, the breakout diet plan of the past few years with its focus on reducing the body’s acidic level down and alkaline level up. In short, the diet aims to include 80% alkaline foods and 20% acidic food. Discarding refined sugar and substituting Honey, coconut palm sugar, and the likes in its place. Ditching all cow based dairy products and replacing the same with goat and sheep milk and milk products. A glass of hot water with a squeeze of lemon to jump start the alkaline level. Photo credit – LGEPR/Flickr; Source: marie claire.